A popular television show that ran during my formative years was Roseanne. It detailed the everyday life of a blue collar family trying to make it in the world. I watched the show, but it never fully resonated with me because I had a hard time believing that one family could encounter one bad experience after another. Surely at some point they would catch a break? It just felt a little unrealistic to me, watching with all of the wisdom of a high school student. No one has that many bad things happen to them. For a long time, that was true. My life moved along with the kinds of ups and downs that you expect from life. Not free from pain, but certainly not categorized by pain. Then from 2013-2014, everything in my life fell apart. My mom was diagnosed with ALS and passed away just 11 months later. I had an affair which ended my 16 year marriage. I got pregnant before my divorce was even final, and then suffered a stillbirth at almost 36 weeks of pregnancy. 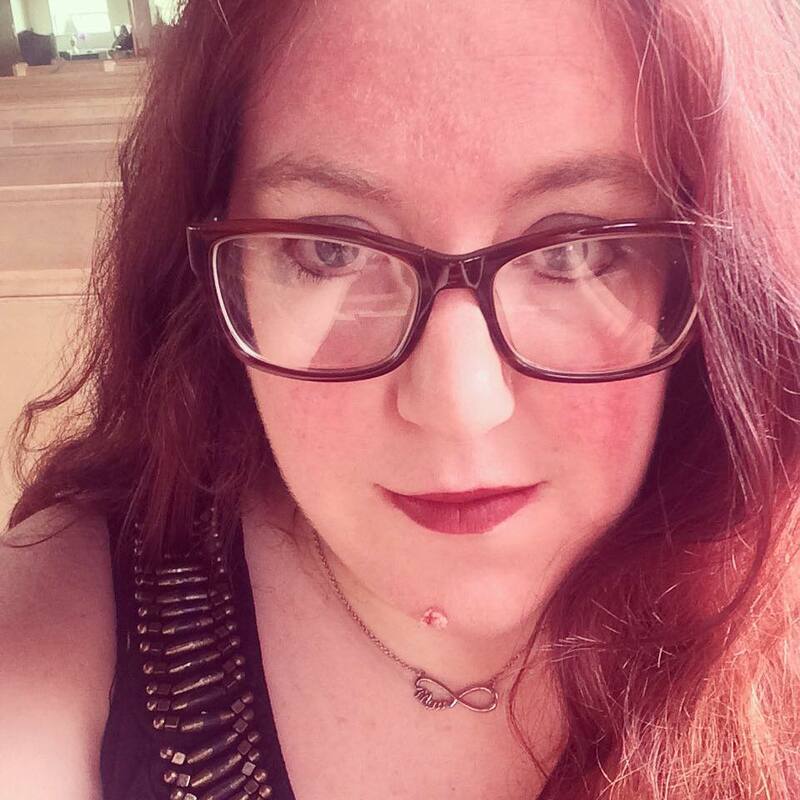 My oldest child came out as transgender and because we supported him, we were asked to leave our church. Every time I felt like things were beginning to turn around, every time I felt like I was getting a handle on my life, something else would cause me to lose my grip. By August of 2014, I felt like I was drowning in grief. I tried to ignore it. I tried to fight it, but as I did, the more that I discovered that I was consumed by it. There was no escaping grief, it went with me no matter where I was. Fighting might leave me with a temporary reprieve, but more often than not, it simply left me more exhausted than I already was. Rather than ignoring or fighting, I began to realize that I had to be willing to experience my grief more fully in order to move through it. I had to find the places where hurt threatened to choke me and dig into them. 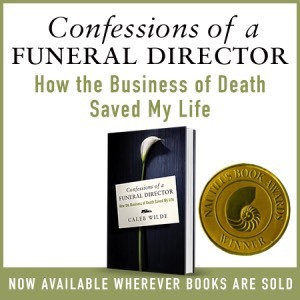 Instead of looking to be healed from grief, I began to look for ways to be healed by grief. As I opened up about my grief, I found that there were others who would join me in that sacred space. Not looking to fix me, just those who wanted to sit with me, to comfort me in my sadness. People who would listen to what I was saying, and to what I didn’t say. People who offered practical help when I asked, and even when I couldn’t ask. I found that when I pulled my grief in close, it had less power over me. I felt less guilt about mourning various losses because I recognized that grief was not my enemy. I experienced less shame as I realized that I had a right to grieve losses, even if they were gains for others. By becoming more open about bereavement and leaning into grief, I was able to find hope, both from outside sources and from within me. We will all experience loss at some point in our lives. We can try to run from it. We can try to fight it. We can try to numb it. We can try to heal from it. Or we can embrace it. And we can be healed by it. Alise Chaffins is a wife, mother, eater of soup, and defender of the Oxford comma. She writes about life and grief, and how embracing grief allows for a fuller life. You can follow her online on Facebook and Twitter. She blogs regularly atknittingsoul.com. 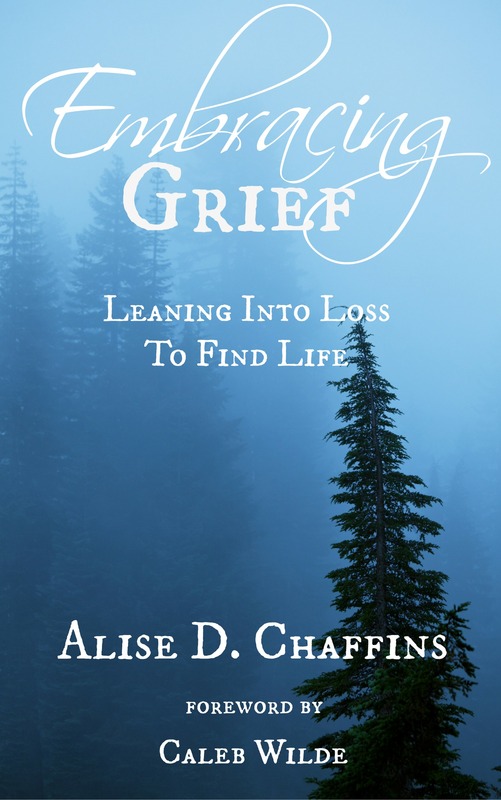 Her book Embracing Grief: Leaning Into Loss to Find Life is now available. This entry was posted by Caleb Wilde on December 8, 2015 at 8:05 pm, and is filed under Grief. Follow any responses to this post through RSS 2.0.You can leave a response or trackback from your own site.